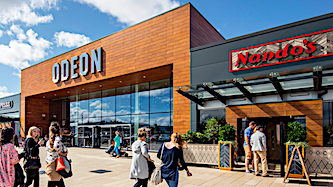 M&G Real Estate is buying The Crown Estate’s 50% stake in Fort Kinnaird retail and leisure centre on the east side of Edinburgh for £167.25 million. M&G Real Estate will enter into a joint venture with Hercules Unit Trust (HUT) for Fort Kinnaird. British Land owns 78% of HUT and is the property advisor of the 560,000 sq ft Fort Kinnaird. Fort Kinnaird has an estimated annual footfall of 14 million. John Duxbury, ‎head of retail at M&G Real Estate, said: “Our partnership at Fort Kinnaird underlines our commitment to prime retail, which continues to prove resilient to competition from e-commerce and reflects our strategy of investing in secure assets with long term prospects for income and capital appreciation. Charles Maudsley, head of retail, leisure & residential, British Land added: “We have thoroughly enjoyed partnering with The Crown Estate and together have made Fort Kinnaird a great place for people in Edinburgh to shop, be entertained, dine out and relax. CBRE and Griffiths Eccles advised The Crown Estate and Knight Frank represented M&G Real Estate.